Starring David Tennant and Michael Sheen as the demon Crowley and angel Aziraphale respectively, the 2-minute trailer for Good Omens promises a lot of dark humour and fun interplay. Good Omens will arrive next year. Amazon’s upcoming Terry Pratchett and Neil Gaiman adaptation Good Omens’ trailer is out. 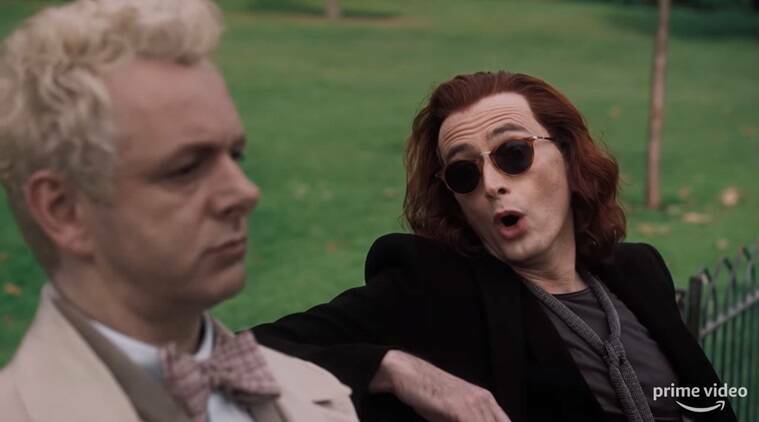 Starring David Tennant and Michael Sheen as the demon Crowley and angel Aziraphale respectively, the 2-minute trailer promises a lot of dark humour. The actors, too, seem to be having a good time. The original 1990 novel had Crowley and Aziraphale as representatives of hell and heaven. While Crowley was the demon snake who tempted Eve with the apple in the Garden of Eden, Aziraphale had the job of guarding the eastern gates of paradise. They work together to stop coming of the Antichrist, the son of Satan, and with him, the end of the world. The interplay between the two lead characters looks like a lot of fun. “We’re not friends. We are an angel and a demon. We are on opposite sides,” says Aziraphale. “We are our side,” replies Crowley. “We have nothing whatsoever in common. I don’t even like you,” complains Aziraphale. “You do,” insists Crowley. Good Omens arrives next year on Amazon Prime Video.